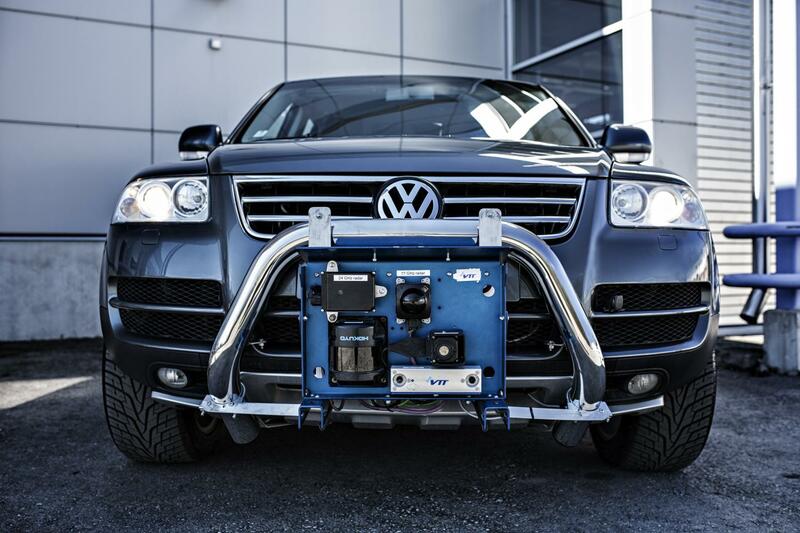 VTT Technical Research Centre of Finland and Nokia have joined forces to hook the VTT's robot car, Martti, up to a 5G network, which allows the car to detect objects with improved range and share its observations with other vehicles. This also takes Martti a step closer to highly automated driving. The safety of road users also improves as new solutions and services based on 5G technology become more widely available. "One of the solutions being tested now in the project is a Nokia 5G connectivity in Martti, which allows the car to send its observations to a server for analysis across a low latency 5G link. The data can be used to adapt the car's behaviour according to actual road weather conditions", explains Matti Kutila from VTT's RobotCar Crew team. "The new 5G link is an important step towards the future development and testing of vehicle services using 5G devices, which are expected to become commercially available during 2019. The main benefit is the broadband uplink which enables collection of data from multiple cars to cloud service", says Tiia Ojanperä, leader of the 5G-Safe project. The radio equipment is supplied by Nokia as part of the telecom operator's long-standing 5G Test Network cooperation with VTT and other partners. The 5G Test Network allows businesses and other partners to develop increasingly sophisticated new solutions and services that enable a transition to the 5G era via series of improved LTE generations. VTT's 5G research and product development services for businesses are well recognised in the world.